The new year is supposed to bring hope and excitement. Things didn’t go as planned this time. A partial government shutdown began just days before Christmas. It turned into the longest government shutdown in history. Federal workers were furloughed. Paychecks arrived with zeroes on them. Already long airport security lines got longer. Museums and zoos closed. So did national parks and monuments. The effects of this shutdown will be felt for a very long time. People will go back to work, but their savings accounts have been drained. Public buildings and spaces will reopen, though it’ll take a while to clean them up and get them ready for visitors. While some places, already low on the totem pole of importance, will continue to be neglected. Howland Island National Wildlife Refuge is one of these overlooked spots. It’s part of the Pacific Remote Islands Marine National Monument, an area that includes seven islands and more than three million acres in the Pacific Ocean. It covers Howland Island—plus a fringing reef and 12 nautical miles around it—almost halfway between Hawaii and Australia. While it protects not only the foraging, nesting, and roosting habitat of seabirds, shorebirds, and marine wildlife, but also the spot that Amelia Earhart was searching for on her flight around the world in 1937. Polynesians were the first people to reach Howland Island. Artifacts, including beads and a canoe, prove their landing. But the island was abandoned due to a lack of fresh water. Nantucket whalers came next. Three ships gave it three different names in the early 19th century. The United States formally took control, in 1935 under the Guano Islands Act, and relocated a handful of Hawaiians in an attempt to colonize. That’s when the ground was cleared for Kamakaiwi Field for aircraft to land during trans-Pacific routes. Earhart’s stopover was supposed to happen during her flight from Papua New Guinea en route to Honolulu and, eventually, Oakland. She never arrived. Only a few years later, World War II expanded to Howland Island. Japan attacked just one day after the Pearl Harbor strike. Airstrips were damaged. Buildings, including the Earhart Light, were left in ruin. Survivors were evacuated. The island was again abandoned. 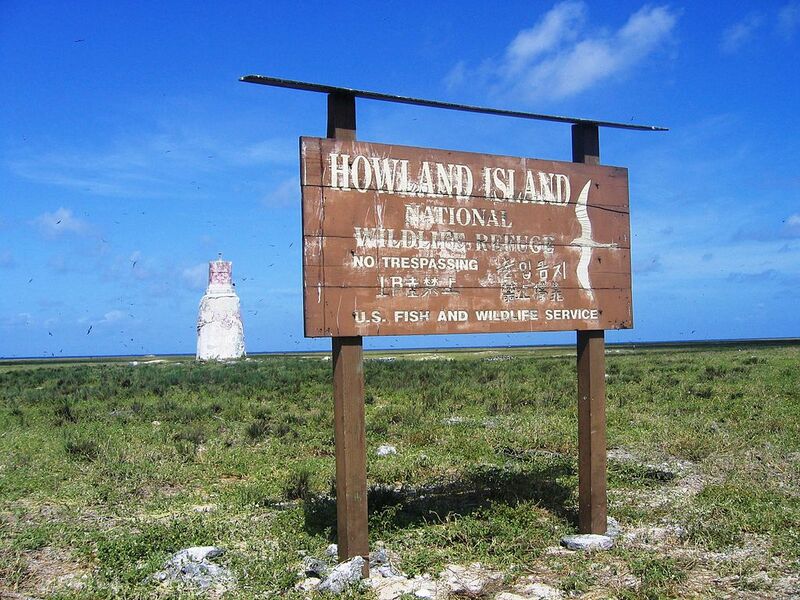 Howland Island remained a historical footnote until the wildlife refuge was created in 1974 and then enlarged in 2009. Thanks to neglect, it’s about to become a footnote yet again.